Welcome to a page dedicated to my pregnancy and updates on our baby! He is due December 31st, 2010. My intention is to put pictures and updates here so family and friends can see what is going on with the pregnancy. 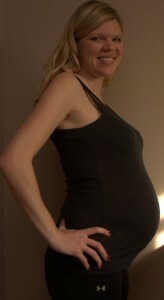 Following a busy weekend, I’m starting to feel a bit more pregnant that I have in the past! I have gotten the feeling that I can’t run around from 7AM til 12AM following a marching band! Seth and I picked out the fabric for the curtains in the baby’s room which means we can now start to pick out paint colors. 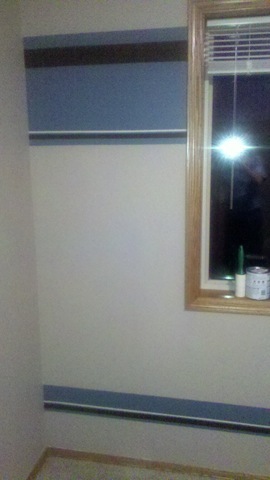 The goal is to have the room painted soon so we can get the new carpet in there. I got a long term sub position so these next 6-7 weeks will be pretty busy! Full of teaching, marching band and a baby shower or 2. Sounds like fun to me! A marching band competition here in Sioux Falls kept me busy this weekend and we were graced with the wonderful presence of my mom to make the weekend better! We are super excited to get the carpet put into the bedroom because we can then start filling it with furniture! 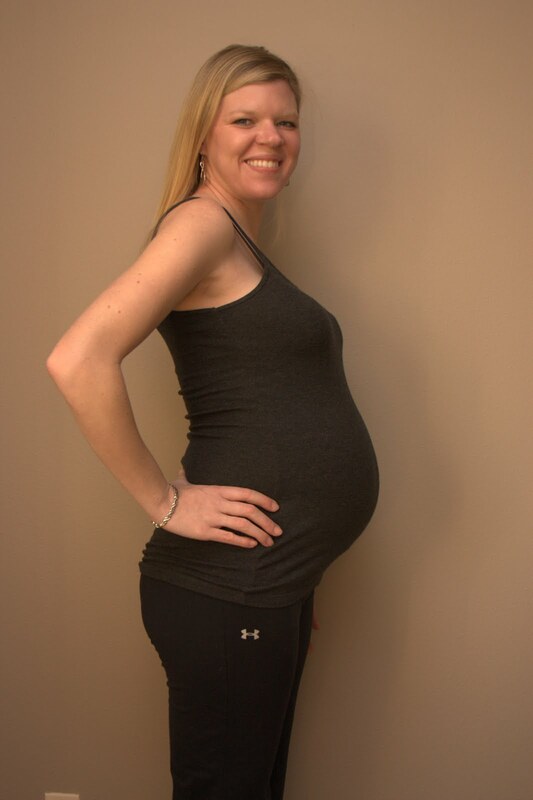 Well, it’s been a while since I’ve posted on this with a pregnancy update! Things are going pretty smoothly as far as the pregnancy goes! The Braxton Hicks contractions are still coming on a regular basis and the more I move, the more they happen so I’m trying to take it easy! I got done with my long term sub position a couple of weeks ago so I’ve been keeping busy at home with cleaning and getting the house ready! Here’s a pic of some of the crib and my “Veteran’s Day Outfit”!